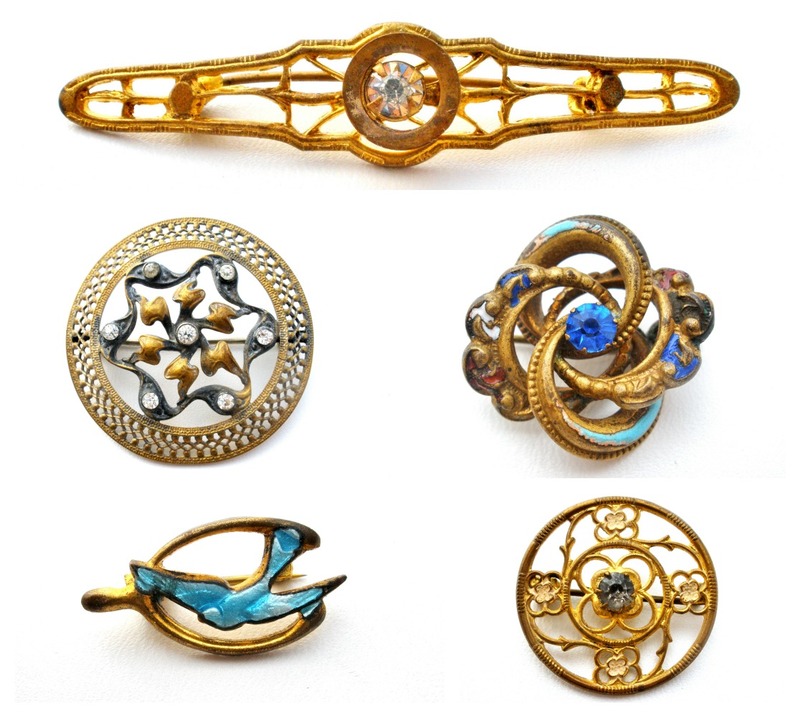 I have decided that I must downsize my collection, so I am offering this is a a beautiful collection of 5 antique brooches, from Art Deco to Victorian. Each have are accented with either enamel, rhinestones or both. Just make me an offer, you might be surprised! Victorian Brooches can be found here.